“Easy Takoyaki Making Puzzle Game” is launched! 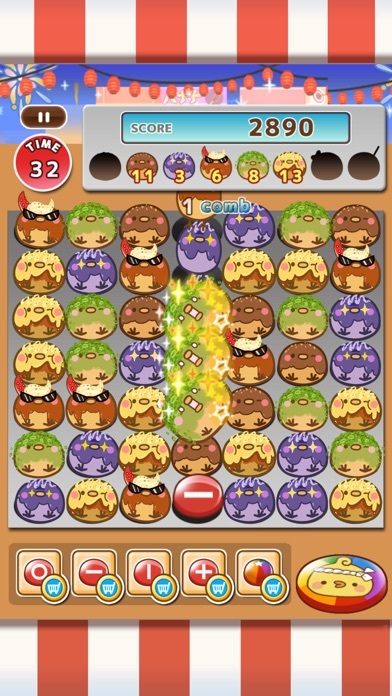 Rule is very simple, Tap 2 same Takoyakies to Crush them! 【Story】 “Takomons are the Takoyaki monsters were born in Takoyaki shop somewhere in Osaka.” It has 9 different “taste?” or kinds of Takomons in the shop. ・ Takomon “Takoyaki Sause with Mayonaise” ・ Negiwasa Takomon “Takoyaki topped with Green Onion and Wasabi” ・ Mentai Takomon “Takoyaki topped with Seasoned cod roe” ・ Super Spicy Takomon ”Takoyaki topped with Super Spicy sauce” ・ Cheesy Takomon “Takoyaki topped with Cheese and Mayonaise” ・ Choco Takomon ”Takoyaki topped with Chocolate sauce” ・ Burned Takomon ”Ash” ・ Takomon Gangster ”Takoyaki Sause with Mayonaise” ・ Death Sause “????? 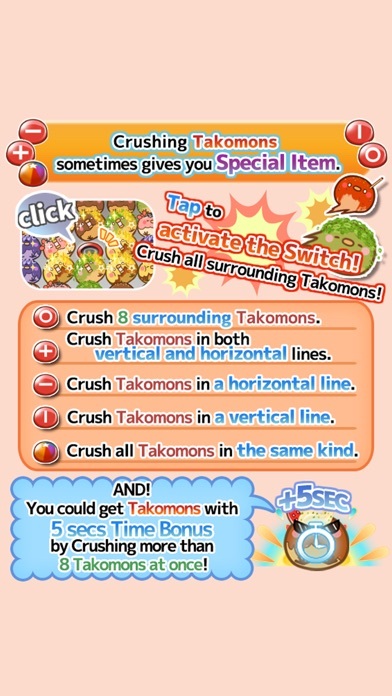 ?” 【How to Play】 Crush Takomons as much as you can within 60 secs of time limit! Only adjoining and more than 2 same Takomons can be Crushed. 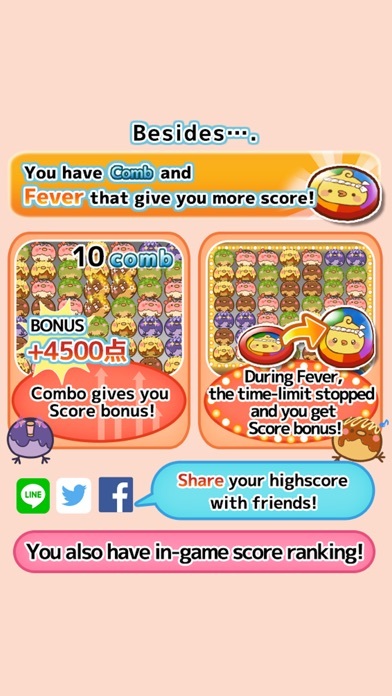 Beside… Each time you crush more than 10 same Takomons, will get Score Bonus. 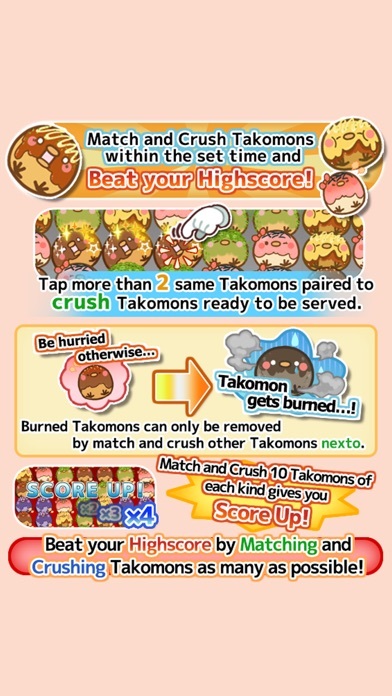 You will also fever when you crush a certain amount of Takomons! Crush as fast as you can otherwise Takomons could get burned! Tap, Crush, and Fever! Beat your high score! 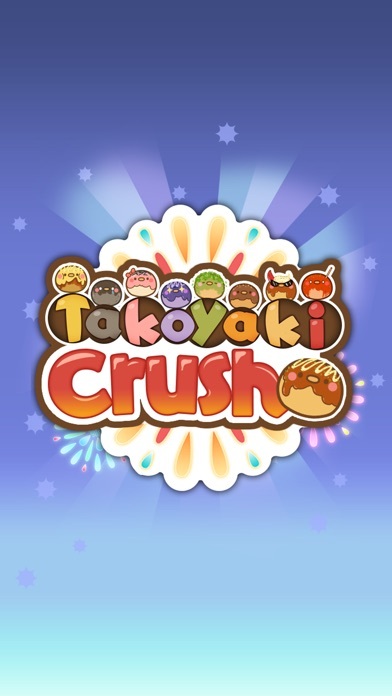 【Play with friends】 You could enjoy Takoyaki Crush! more with your friends! Share your high score through LINE,Facebook, and Twitter! In-Game Ranking system is also available for you!